Jared Tebo continues to dominate 1/8-scale racing, adding another double TQ performance to his resume at the ROAR Offroad Fuel Nationals. Tebo, with his AKA tires/Orion engine/KO Propo equipped Kyosho vehicles wrapped up Truggy with a 4th round TQ this afternoon, and has already sealed the buggy class TQ in spite of the 4th buggy round remaining later today. It looks to be a race for second place, but as we’ve all seen before, the “TQ curse” seems alive and well–will Tebo overcome the odds in Sunday’s A-Main finals to take home a double ROAR Nats win? Competitors Ryan Cavalieri, Jesse Robbers and several others look fast…but are they Tebo fast? 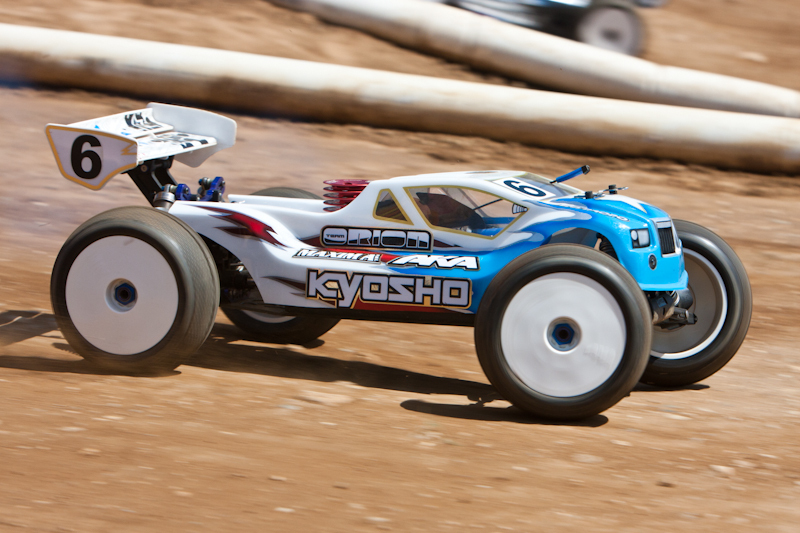 Check back here and sign up for our live Twitter feed (http://www.twitter.com/rccaraction) for the latest breaking photos, updates and videos.